One of the distinct differences between SHARP and other treatment programs, is the use of our highly trained foster care parents who have expertise in the area of adolescence in recovery. Each home operator takes great pride in opening their homes and hearts to the youth they work with. Prior to placing a young person, much care and consideration goes into matching the needs of the youth with the strengths of the foster parents. SHARP foster homes are located in or near Charlevoix County, Michigan, and are licensed to serve four to six youth each. These facilities are licensed by The State of Michigan Bureau of Regulatory Services as foster family homes and foster family group homes. The youth served by these homes must possess at least minimal behavior controls in order to function in an open setting in a residential area of the local community. Youth most effectively served by the foster homes have experienced substance abuse or behavioral and relationship problems in their homes, schools, and/or their communities. Youth requiring foster care, but not the services of SHARP may also benefit from being placed in one of our foster home. The foster homes are not equipped to care for youth who are overly psychotic or dangerously assaultive. They are also not equipped for the severely handicapped or the severely visually or hearing impaired. Youth of all races and ethnic backgrounds are accepted in foster homes licensed by Charlevoix Probate and Family Court. The homes are licensed to accept youth ages ten thirteen to seventeen. There are no geographical restrictions regarding referrals. SHARP foster homes are trained to work with youth involved in the court’s substance abuse programs and/or to provide a foster home for youth with current or past court involvement who are unable to live at home. All foster homes are provided with 24-hour support by contacting the on-call worker for Charlevoix Probate and Family Court. In addition, a court worker is assigned to monitor and provide services to all foster homes. SHARP foster parents participate in weekly team meetings with SHARP director, school teachers, counselors, doctor and the court staff. Marti Vondra has been a foster parent since 1999. The Vondra’s have raised seven children of their own and have sixteen grandchildren. At different times in the past, they have worked with both male and female young people, but Marti’s passion is really in assisting females develop into thriving young ladies. Many nights she is up late listening to the troubles of teenage girls. She insists she wouldn’t have it any other way! 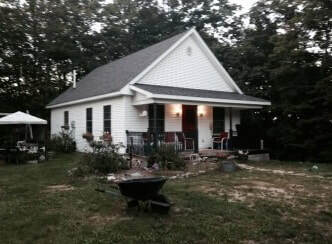 The Houle home is licensed for 6 males, ages 11-17 and is located in the downtown Petoskey area within walking distance of schools, employment opportunities and recovery related activities. Charlevoix County Probate/Family Court is the Licensing Agent and/or Child Placing Agency-Approved Government Unit for this home. Mr. Houle has an MSW and a LLMSW license and has provided individual, family and substance abuse counseling services to local clients. He is very familiar with the “recovery community” in this area and has himself been in recovery for the past 20 plus years. He additionally has a specialty working with the Native American culture. The Houle foster home has been providing long term and short term care for the past 8 years. The Houle home can also take placements of youth who have not transitioned successfully after completing a court ordered program and are in need of ongoing skill development in a least restrictive environment before attempting a return home again. Mrs. Houle additionally works with the youth assisting them to develop independent living skills of laundry, cooking and cleaning. The Houle foster home is also available to provide foster care for youth completing SHARP, through our ERC Component (Extended Recovery Care). Frequently youth are ready to graduate fromSHARP, however, parental deficiencies are delaying the youth’s successful return home. Peg and her husband Matt are one of two foster homes for our young ladies. Mike and Windy are one of our homes for the males. They are our newest foster family, just getting licensed in 2018.